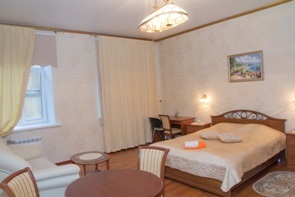 Mily and comfortable hotel near the heart of the city, friendly hosts, clean rooms - a great option to stay for a few days for a business trip or sightseeing. Very nice and cozy place :) The rooms are clean, in the shower, too. The kitchen has everything you need for cooking. Near the hotel - a lot of different restaurants and bars where you can sit down at any time. Special thanks to Igor, who will tell and explain everything :) The only downside - you have to focus on the time of the bridges. For the rest, everything is OK! Convenient location. 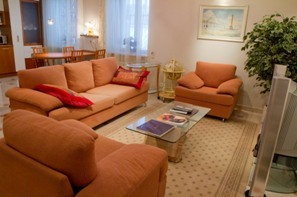 The apartments are located in the historical center, in an old house, renovated. No odors, enough clean entrance, has a lift. Good location, good equipment apartments, separate entrance. Millions of travelers come to the Northern Capital of Russia. Many of them are brought here on official business, but even more travelers wish to see Saint Petersburg and its sights. 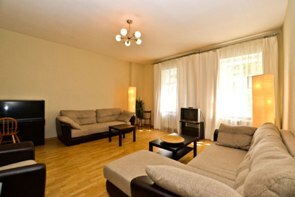 A good alternative to staying in a big and expensive hotel can be adaily rent of apartments in Saint Petersburg , which will allow you not only to significantly save on accommodation but also to get a convenient suite of rooms with a genuine home comfort in addition to high quality service. JMG Apartments & Hotel Company offers you a variety of apartments which you can pre-book. Having chosen the apartment to your liking, you will only have to get acquainted with our booking rules and to make an application. 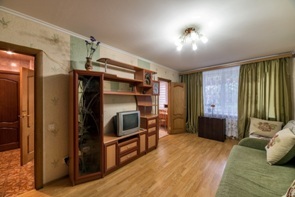 Apartments offered for daily rent in Saint Petersburg ,Petersburg are meant for quite a wide audience where each tenant will certainly find an option corresponding to his/her requirements and financial conditions. 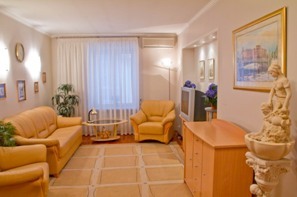 An increasing number of guests prefer to rent on a daily basis the luxury suites of rooms equipped with modern technology and having a unique design. Here the tenants are offered additional bonuses such as the individual car park, concierge, etc., not to mention the fabulous view from the window. 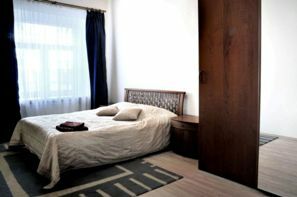 It is also possible to stay in a studio or Comfort class apartment which offers a pleasant atmosphere and good accommodation conditions. 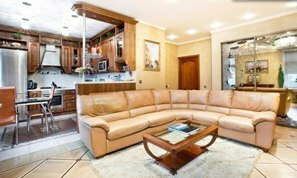 One-, two-, three-room apartments will suite not only a single traveler but also a married couple with children, and a big friendly company. 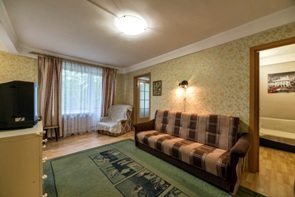 Daily rent of apartments in Saint Petersburg is possible in any part of our city: on the quiet and calm outskirts where you could have a good rest in the open air, or in the very centre of the Northern Capital, surrounded by sights which have long become a legend. 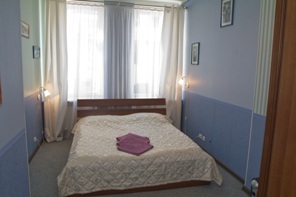 Having chosen the Tsentralny District of the city, you will find yourself in the most lively place, in a«Golden Triangle»,where the Palace Square, the Hermitage and the majestic Church of the Savior on Spilled Blood, as well as Kazan and Saint Isaac’s Cathedrals are united in one architectural composition. 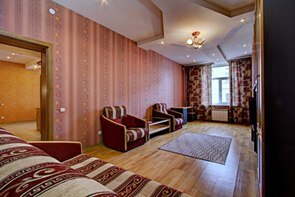 Daily rent of apartments without intermediaries is also available for you in Moskovsky and Admiralteysky Districts of the city. 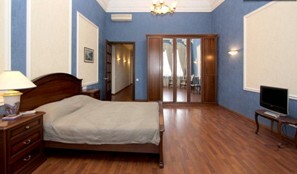 The demand grows for apartments for daily rent in Saint Petersburg. 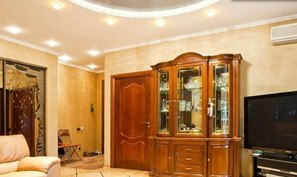 The most important is to make the right choice and to consult with the reliable and competent specialists. We guarantee the comfortable atmosphere and high quality service.